The canoe is most lovely, but I had not expected the axe to make such a nice necklace, I have been wearing it all the time now and really really love it, thank you so much Sita! I love both versions. Both beads are really great. The axe makes a perfect necklace. The first version is very airy with a clever combined colorful glass beads is pleasure for eyes I love that a little bit better. The second one is really perfect also! super great. all of your beads are awesome. all of them. great glass. Catsworld, you have some unique beads and you are master of colours!!! Beauuuuuutiful!!! Love the Southwestern feel. The Red Indian bead is cool, what brand is that? The eagle is unexpected but works so well! 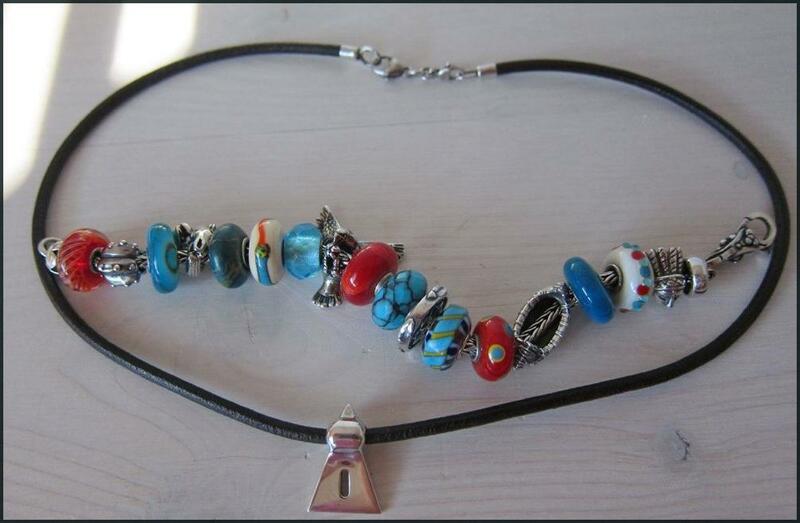 @Cloverbead wrote: Love the Southwestern feel. The Red Indian bead is cool, what brand is that? I bought it from a Swiss online shop, the guy was certainly NOT very nice, in fact quite a rude chap, never again! Thank you all so much for your kind replies, really love wearing this combo! I like the dark version !! 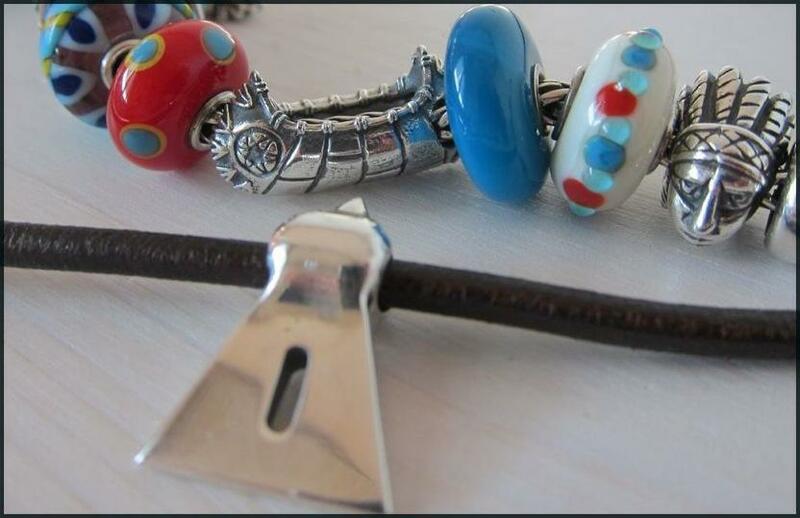 And your southwestern bracelet combos are super awesome. 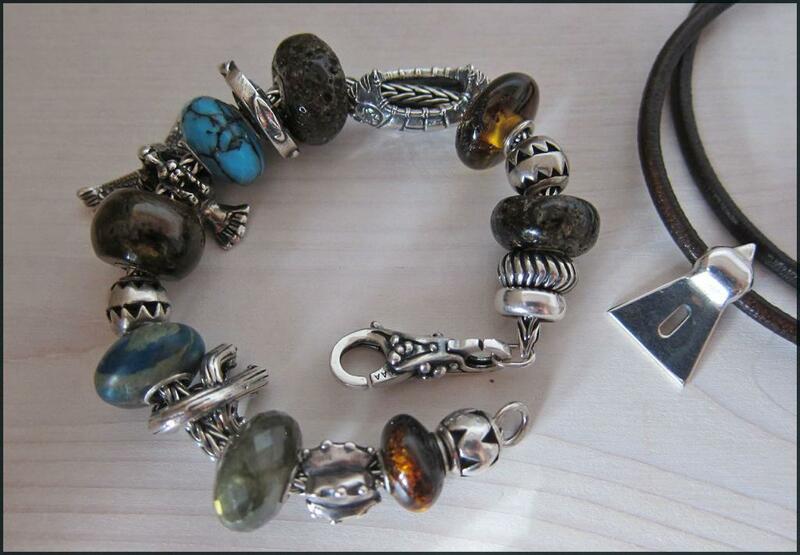 They are made up of my favourite silvers and the faerybeads blend in perfectly. 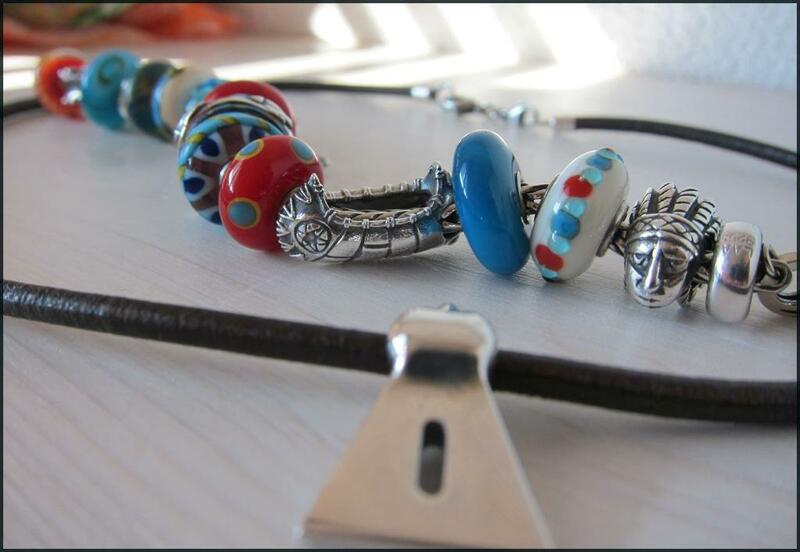 I like the lots of turquoise on the first bracelet but the second one with the grungy ambers is my favourite. What's the beautiful blue/grey triped stone on that one at 8 o'clock? I'm totally smitten with your combos. @Trollperle, I forgot to say thank you for your lovely little story around it, I am useless with such stories. I still love the first version, but the second version is so much stronger and I am happy to use my ambers again, I have had them unused in the beadbox for too long. Beautiful combos! I love both of them! I your final version,Cats! Perfect! Both versions are beautiful, I really like the colours of the first one, very unusual but so much fun And you have very pretty ambers. The cano is a cutie!